On-going projects are designed to understand how metals – especially rhenium and osmium – are distributed in the Earth, how they are transported from the Earth’s interior to the crust, and how they are concentrated in various reservoirs in the Earth’s lithosphere, hydrosphere, and biosphere. A major focus is on organic material – how Re and Os are captured in organic-rich sediments, and how they behave through compaction and heating of those sediments, transformation of the organic material to oil and gas, and migration of these hydrocarbons in the earth’s subsurface. The geologic career of Dr. Hannah began in geophysics, exploring for geothermal resources in the field and monitoring microseismicity. Falling oil prices sent Judith in new directions. Graduate and postdoctoral research led her into igneous and metamorphic petrology, trace element geochemistry, genesis of metallic ore deposits, and ultimately isotope geochemistry. 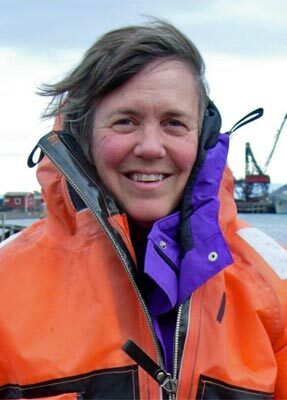 Since 1996, she have been affiliated with the AIRIE Program, focusing on applications of Re-Os geochemistry, first in magmatic systems, and more recently in the sedimentary environment.